One of the challenges of playing jazz is being able to quickly find a voicing that works well underneath any melody note you could come across on a lead sheet. 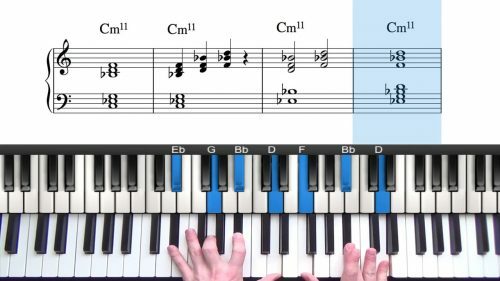 When you are playing, you should always be consciously analysing the melody note in terms of what scale degree it is in relation to the chord underneath. If you have memorised a range of voicings that you know work well under specific scale degrees you will be able to easily find a suitable voicings to play under any melody note you come across. 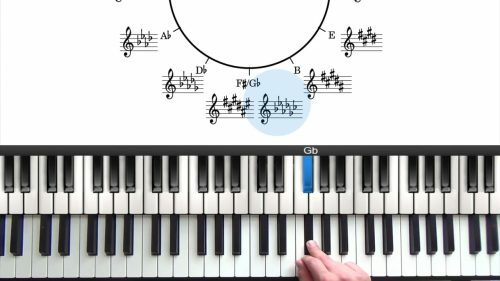 Building chords that connects the harmony to the melody in this way is called harmonising the melody and when this can be done quickly, you’re playing will begin to sound much fuller. In this lesson I am going to explore a range of major voicings that can be used under each of the 7 notes of the Lydian mode. Open your fake book, or flick through the jazz standards you have learnt and look out for a major chord with the #11 in the melody. By doing this you will retain the shape and the information much better…. because you have taken the time to work it out. Keep looking through your fake book, or through your jazz standards until you have built the same voicing in a few different keys… the more keys you build it in, the deeper your understand will become.